I haven't been outside much. And I talk now. Da lady says I "twitter" now. I did before but no where near what is coming out of me now. And after I eat breakfast then I talk some more when I play with one of my toys. And now they know how much I really eat since BeauBeau da kitty garbage pail is not here anymore to eat all my food. Da lady looks at me a lot too to see if I am ok. She is afraid it'll soon be my turn to go away too. 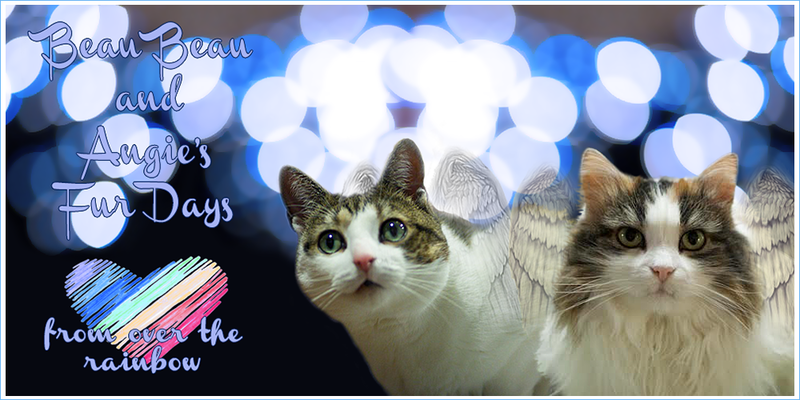 We has a lot of sads today because we lost our long-time furiend Derby. He has been blogging a long time too and he was such a handsome ginger kitty. Our hearts hurt for his Mommy, Janet. I think Beau Beau and Derby and playing together at the bridge. I am glad you are doing okay Angie. It is so hard when you lose your brother. I am sending purrs to you and your mum and dad because I know how sad you all are. It made me very sad too that Derby had to rush off to the Bridge so suddenly. 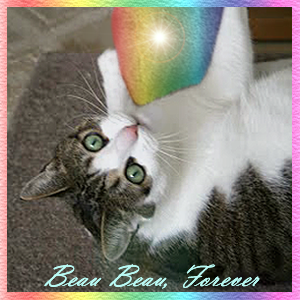 Oh sweet Angie, we know that you must miss your handsome boy Beau Beau lots. Good to hear though that you are helping your mom and dad. We miss sweet Derby too. Thanks for your kind words on Derby, we are getting so much love from so many people. We are sure Derby and Beau Beau are up to no good, along with all of the gang at The Bridge. We are glad to hear from you. We were also so sad about Derby. Hi Angie. We know you're sad that your brother isn't here anymore. But that's only physically. He'll always be with you in your heart. We're sad about Derby too. 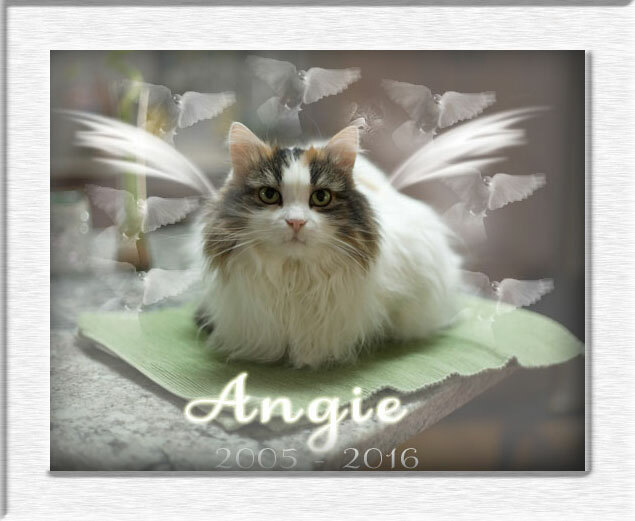 Purrs to you and your humans, Angie. 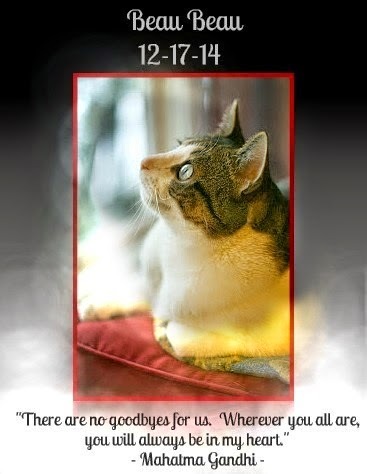 It has been a very sad time for lots of cat blogosphere families. Howdy beautiful Angie. We too know how tough it is to lose someone special. You just stick around for a long, long time! We're keeping y'all close in our thoughts and to our hearts. How nice to hear from you Angie. We're glad to hear you're doing okay. Your family is in our thoughts. It's hard losing a brother, isn't it. We're glad to hear you're doing OK, though. And we too are very sad about Derby. angie, r yoo talkin to the beau beau angel that is flying around the howse? mommie talks to her furrend da steve angel all da time.